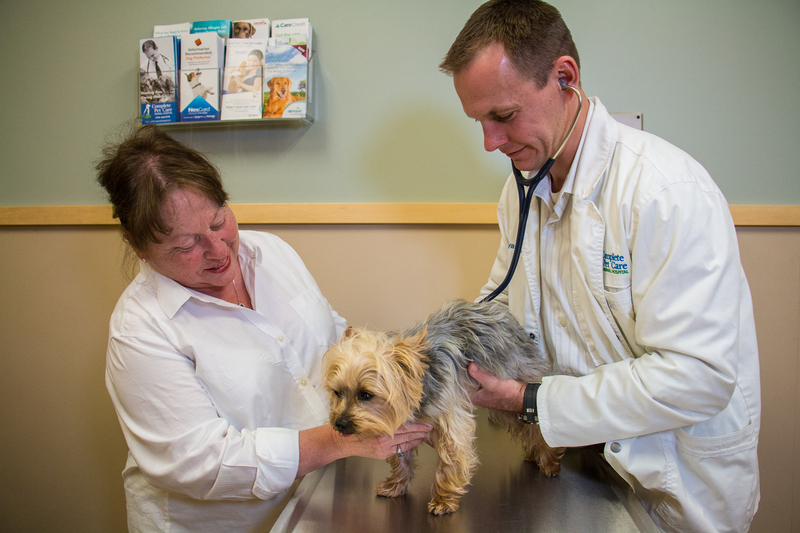 A good veterinarian will keep you informed at every step of the way in your pet’s health journey, from preventive care to diagnostics to treatments. Not knowing what will happen when you bring your pet in for an appointment can be scary. That’s why you deserve a veterinarian who will keep you in mind. You and your pet’s vet should be a team working to keep your pet as happy and healthy as possible. Contact us today to discover how we can help with your search to find a vet. Whether your schedule necessitates an evening or weekend appointment for your pet’s wellness visit, or something unexpected happens outside traditional business hours, you want a vet who’ll be there for you and your pet when you need them most. Look for evening and weekend hours and ask if the veterinarian leaves appointment times open for emergencies. At Complete Pet Care, our experienced veterinarians are also on call 24 hours a day if your pet needs care that can’t wait. Veterinary technology is changing and advancing quickly – in some ways more quickly than human medicine! Look for a veterinarian who is comfortable with and has access to the latest advancements so your pet can take advantage of cutting-edge technology. These advancements are designed to make diagnostics, treatments and recovery simpler and less painful so your pet’s quality of life and longevity are improved. Does your pet seem under the weather, but you’re not sure if an appointment is needed? Are you having trouble remembering how often your pet should be seen when they’re healthy? Here’s a handy guide to know when your pet should see a vet. ● Puppy and kitten visits. Your littlest family members should be seen at around 8, 12 and 16 weeks old for wellness checks, vaccines and deworming. Puppies and kittens grow and change quickly, and having a vet see them at every stage of their development can help identify anything that needs correcting or treating before it becomes a problem. ● Annual wellness visits. Once your pet reaches adulthood until 7 years for dogs and 9 years for cats, they should be seen for a full comprehensive wellness exam yearly. Our pets’ health changes much more quickly than ours, since they age faster. Bringing your pet in for an annual exam is like a person seeing their doctor every seven years! ● Semi-annual senior pet visits. Bring your senior pet in for a wellness exam every six months. Your pet’s veterinarian will compare blood work, check all your pet’s systems and compare everything to a baseline from when they were younger. This increases the likelihood of catching an unexpected problem early, ensuring your pet has the best possible chance of living a long, happy life. Sometimes your pet will be in non-emergent pain or discomfort, requiring a visit to the vet within a day or two. If your pet isn’t feeling well but is otherwise alert, eating and drinking normally and urinating, call for an appointment as soon as you notice the symptoms. Talk to our caring, qualified customer service representatives and arrange to bring your pet in at a time that works well for you. They’ll be able to help you determine how soon your pet should be seen and what, if anything, you can do to keep your pet comfortable in the meantime. At Complete Pet Care, our compassionate, knowledgeable staff is here for you and your pet, whether your new kitten needs a vaccine or your senior dog managed to get into the Thanksgiving turkey. Contact us for an appointment at either of our convenient locations, and we’ll work with you to get your pet the thorough care they need and deserve.